We are so excited about 2019! In this new year, we’ll move closer towards construction of this new civic space, bring together neighbors through a ton of amazing events, grow thousands of pounds of fresh fruits & vegetables while teaching the next generation of urban farmers and continue to implement our equitable development strategies – our effort to ensure local residents can stay and thrive in place. Read on to understand why we can’t wait for 2019! In the next month, we’ll kick off the next big contract with our amazing design team of OMA+OLIN and begin the permitting process with local and federal agencies. Working in partnership with the District Department of Transportation (DDOT), we plan to break ground in 2021 and open the park in 2023. But there is no need to wait until then to experience what the park will be like. 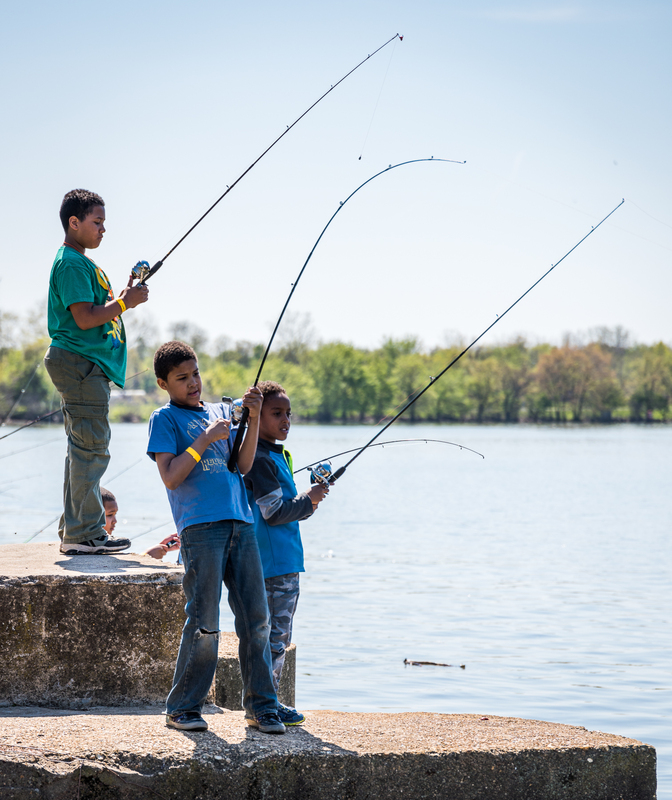 Join us on Sunday, April 14th as we celebrate our FIFTH annual Anacostia River Festival in collaboration at the National Park Service, National Cherry Blossom Festival and over 60 local non-profits. 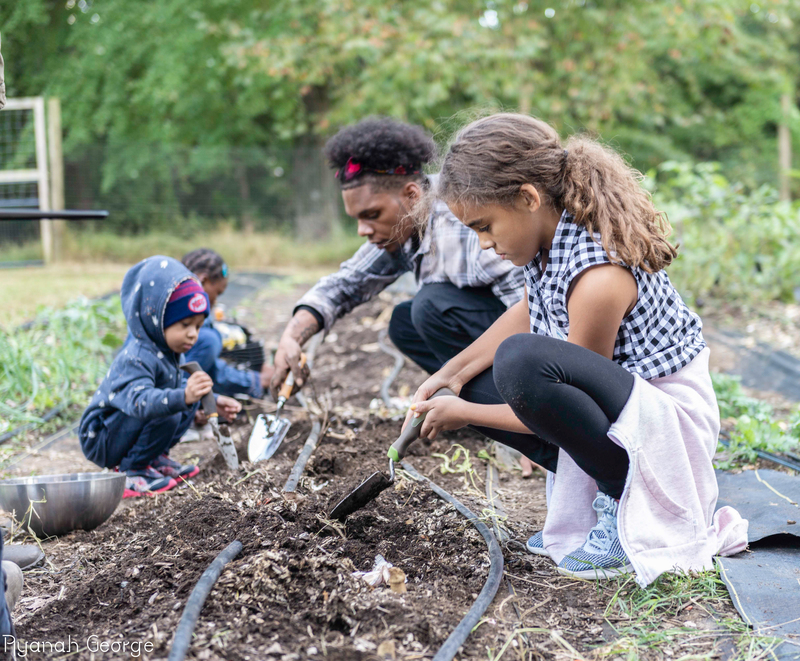 Spring is also a season of growing and we’ll be launching composting workshops, healthy cooking classes and bed repair classes at our seven urban farms located in Wards 8 & 6. And we’ll offer the first season of our Community Supported Agriculture (CSA) shares providing locally grown food to nearby residents. Such a treat thinking about summer when there are inches of snow on the ground! This summer we’ll launch our second Community Leadership Empowerment Workshops building the skills and capacity of Ward 8 residents. And by summer we should have acquired our first properties as part of our Douglass Community Land Trust. We’ll begin the fourth year of our Ward 8 Home Buyers Club that to date has helped over 70 east of the river renters become homeowners building intergenerational wealth. In July, we’ll once again launch weekly walking tours down to the river. During the summer our farm classes continue with herbalism workshops, canning classes and a honey harvest at one of our five bee hives located at THEARC Farm and Bridge Park Plots. Locally grown honey – yum! In October we’ll hold our third annual “Taste of the Harvest” Festival. Last year’s event brought together several hundred residents from both sides of the river sampling recipes from our Bridge Park Plots, storytelling & music performances and lots & lots of s’mores over a roaring campfire. What a perfect way to wrap up a fabulous 2019. And by the end of the year, we should be at 30% design of the park and ready to launch our final year of design. We are very much looking forward to seeing you at our many events throughout the year. It is an honor to work with such an AMAZING community building this new park linking DC. In the meantime, if you have any questions, thoughts or just want to share an idea – please e-mail me at scott@bridgepark.org. Thanks in advance!